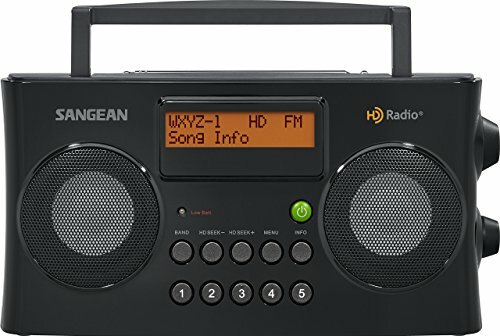 The Sangean AM FM HD Portable Radio has the latest HD Radio technology. Program all your favorite stations for easy access. Enjoy great sound wherever you go. I/O Jacks: DC In, Line-Out (Rec-Out), Aux-In Record Output for connecting to Hi-Fi System or Recording from Audio Program Runs on 4 C batteries or Ac Adapter Included.